New York, NY – March 5, 2008 – Apple Corps, Ltd., Harmonix and MTV Games, a part of Viacom’s MTV Networks (NYSE: VIA, VIA.B), today announced the 9/9/09 worldwide release of The Beatles: Rock Band (http://www.thebeatlesrockband.com/). The music-based video game, an unprecedented, experiential progression through and celebration of the music and artistry of The Beatles, will be available simultaneously worldwide in North America, Europe, Australia, New Zealand and other territories for the Xbox 360® video game and entertainment system from Microsoft, PLAYSTATION®3 computer entertainment system and Wii™ home videogame console from Nintendo. The Beatles: Rock Band will allow fans to pick up the guitar, bass, mic or drums and experience The Beatles extraordinary catalogue of music through gameplay that takes players on a journey through the legacy and evolution of the band’s legendary career. In addition, The Beatles: Rock Band will offer a limited number of new hardware offerings modeled after instruments used by John Lennon, Paul McCartney, George Harrison and Ringo Starr throughout their career. The Beatles: Rock Band will be offered as standalone software and hardware as well as a limited edition bundle. The game will be compatible with all Rock Band instrument controllers and other current music-based video game peripherals. Please note: Pricing outside of the US to be announced at a later date. The Beatles: Rock Band marks the first time that Apple Corps, along with EMI Music, Harrisongs Ltd, and Sony/ATV Music Publishing, has agreed to present The Beatles music in an interactive video game format. Published by MTV Games and developed by Harmonix, the world’s premier music video game company and creators of the best-selling Rock Band®, the game was creatively conceived with input and full blessing from Sir Paul McCartney and Ringo Starr, along with Yoko Ono Lennon and Olivia Harrison. Electronic Arts will serve as distribution partner for the game. 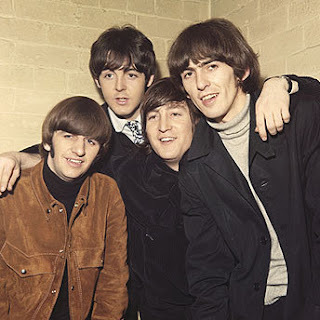 In addition, Giles Martin, co-producer of The Beatles innovative LOVE album project, is providing his expertise and serving as Music Producer for this groundbreaking Beatles project. Exclusive content created by Apple Corps, MTV Games and Harmonix will be made available to fans over the next few months who participate in a pre-order campaign through major retailers. More details on The Beatles: Rock Band game and pre-order will be revealed in the coming months.